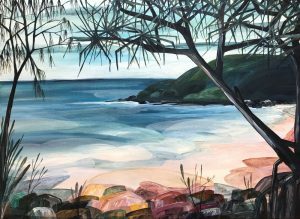 Painter and visual artist, Ingrid Daniell, lives on the Surf Coast of Victoria, Australia, where the land and seascapes that surround her inspire her work. 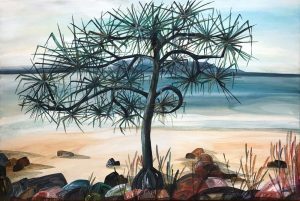 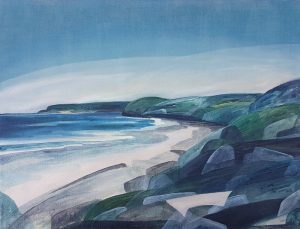 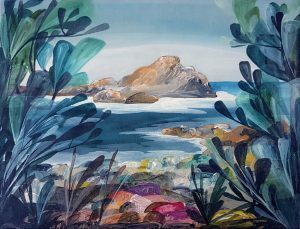 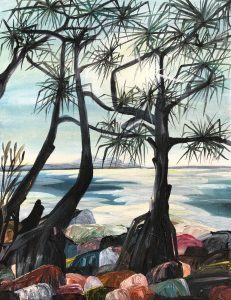 Places that are close to her life and experiences are never far from her paintings – the rugged Surf Coast and Great Ocean Road; remote Australia and its many national parks; the north and south east coasts of New South Wales and Tasmania. 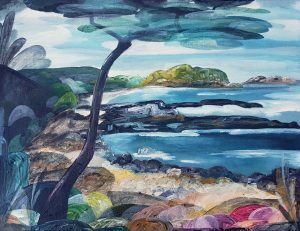 Ingrid finds context in her painting by using the landscape as a metaphor for our fragile earth, climate change and our human need to belong. 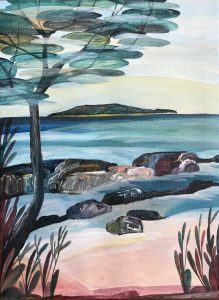 Through her painting, she identifies the human and instinctive need to connect to the land, to the ocean, to a natural environment and the landscapes that make up our identity from the past, present and future. 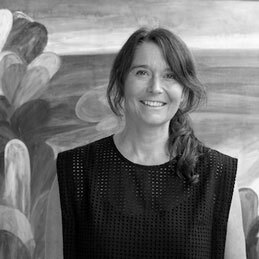 In her latest series for Curatorial+Co. 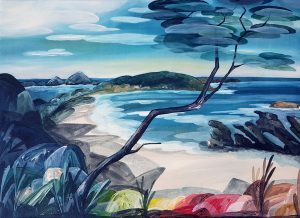 titled ‘Memory, Time, Space’, Ingrid paints the landscape as an idyllic folk tale; redolent of a time and place when man had little impact. 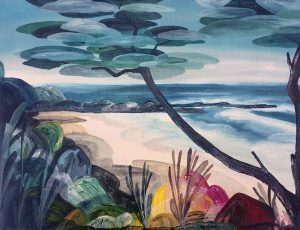 Through stylised and abstract form and symbolic paint gestures, Ingrid uses colour and a mix of textures; layering the canvas using shapes and colours in a warmth of texture and sheer to create magical, emotional landscapes.